We are thrilled to have had our Cartwright Laterna Vases included in this stunning roomed designed by Sawyer Berson for Kip’s Bay Designer Showhouse. 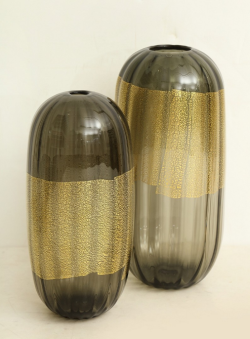 These vases are hand blown in Redhook, Brooklyn by a skilled artisan glass blower. Rather than applying the gold leaf on top of the glass, the 24 karat hand beaten gold is applied during blowing and crazes when heated to a very high temperature. 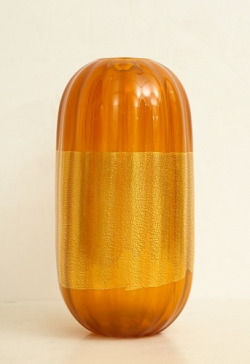 Each vase is unique not only in size and form but also in decoration. A great addition to contemporary or traditional rooms.